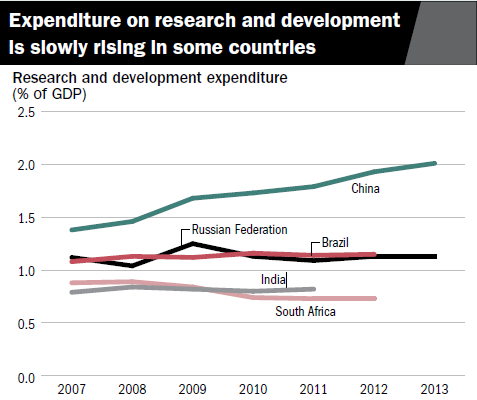 At a time when India’s rulers are basking in happiness that international consultants, Ernst and Young, have pointed to how India has overtaken China in foreign direct investment (FDI), considering this an indicator of the new business climate under the Modi government, a World Bank report has found that the country utterly lacks in dynamism in entrepreneurial activity. The just-released World Bank report, “World Development Indicators 2016”, has found India’s business entry density, which calculates the number of newly registered limited liability corporations per 1,000 people in the age group 15–64, is one of the lowest in the world. At just about 0.12 per 1000 people in the age group 15-59, the calculation shows that the world average of business entry density is 4.01. By way of comparison, the density in the United Kingdom is 12.90, in South Africa it is 6.54, in Russia it is 4.20, and in Brazil it is 2.88. 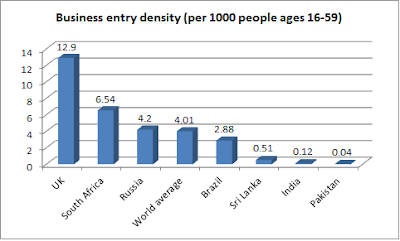 Of course, there is some consolation, as the neighbouring Pakistan’s business entry density is worse than India’s, at just 0.04, and Bangladesh’s 0.09, yet in Sri Lanka it is higher, at 0.51, in Nepal it is 0.69, and in Afghanistan it is 0.15. A measurement which shows the rate at which new businesses are added to an economy, suggesting dynamism and entrepreneurial activity, the data on business entry density are from the World Bank’s 2015 Entrepreneurship Database, which includes indicators for more than 150 countries. “Survey data are used to analyze firm creation, its relationship to economic growth and poverty reduction, and the impact of regulatory and institutional reforms”, the World Bank report points out. Another World Bank source says that the new business entry density would show the number of newly registered firms, in which ownership liability is limited to its investment, per calendar year, normalized by population. “This is a valuable indicator which quantifies the impact of regulatory, political, and macroeconomic institutional changes on new business registration, a vital component of a dynamic private sector”, it adds. Data on India’s poor business entry density, significantly, has been revealed at a time when the manufacturing value added as a share of gross domestic product (GDP), claimed to capture the role of manufacturing in an economy, has been nearly stagnant in India.